Accidentally you might have deleted photos from Canon IXUS by selecting "Delete All" option instead of deleting a single picture. Virus scanning, the infected photos might be deleted. Using cut and paste command on Windows OS. Images deleted from the memory card. System shut down while transferring photos from the camera to system. Photos deleted due to third party tool or applications. Image files deleted from the recycle bin. Pulling out the memory card during read or write process. 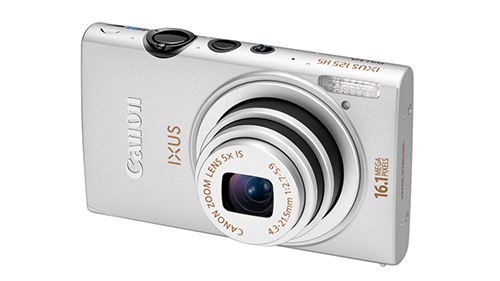 Don't be panic when losing important photos from your Canon IXUS. 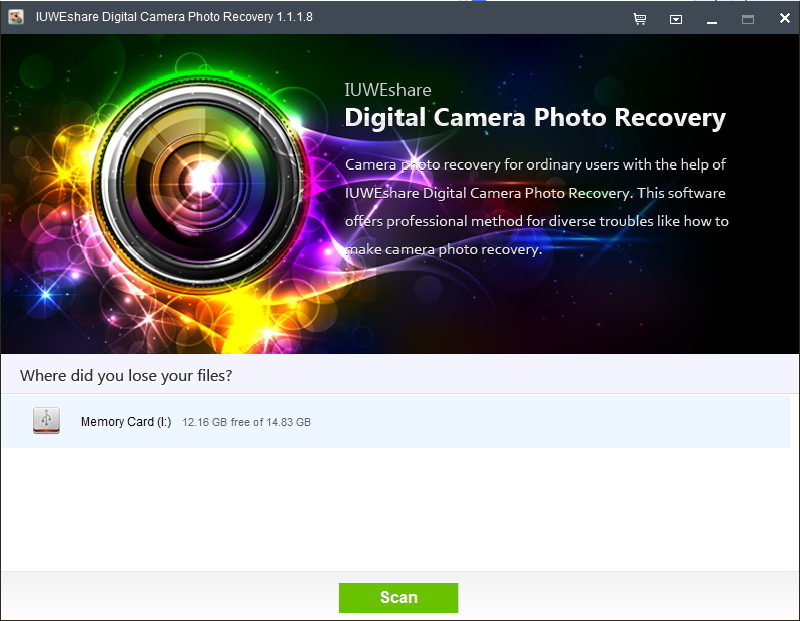 IUWEshare Digital Camera Photo Recovery(Win/Mac) is the best Canon IXUS Photo Recovery software which allows you to recover deleted photos from Canon IXUS microSD/microSDHC/microSDXC memory card pleasantly in a short time. The program supports to comprehensively recover deleted JPEG from Canon IXUS 510 HS, IXUS 500 HS, IXUS 255 HS, IXUS 240 HS, IXUS 230 HS, IXUS 140, IXUS 135, IXUS 132, IXUS 125 HS. Step 1: Connect Canon IXUS storage media to the computer. Connect your Canon IXUS microSD card to the computer through a card reader, when the memory card was recognized by your computer, it will mount as a drive letter on your computer. Step 2: Select Canon IXUS microSD card to scan and recover. Launch IUWEshare Digital Camera Photo Recovery, the software will automatically detect your camera storage device and list it on the main panel. Select the storage card and hit "Scan" button. Step 3: Preview and recover Canon IXUS Deleted Photos. When the scan is done, all the files will be listed in the left pane and can be viewed in the right pane in thumbnail or file list. Select those you want to recover and hit "Recover" button to get photos back.